There is no information available as to the background of developers i.e. 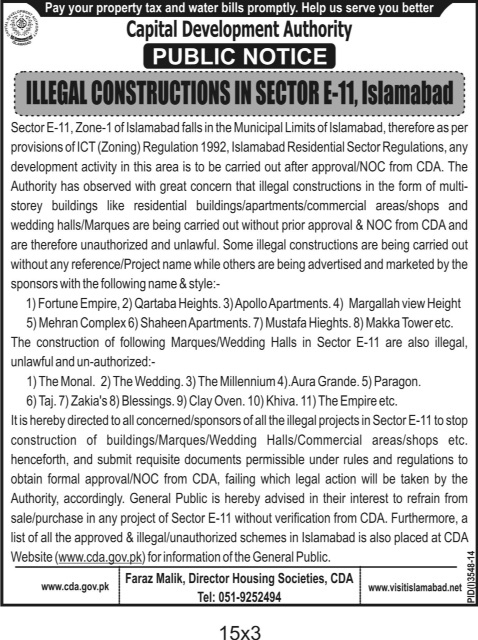 Citi Builders & Developers, and the legal status of Canal View Housing Scheme. However, we will share all the available information for our readers on this page. 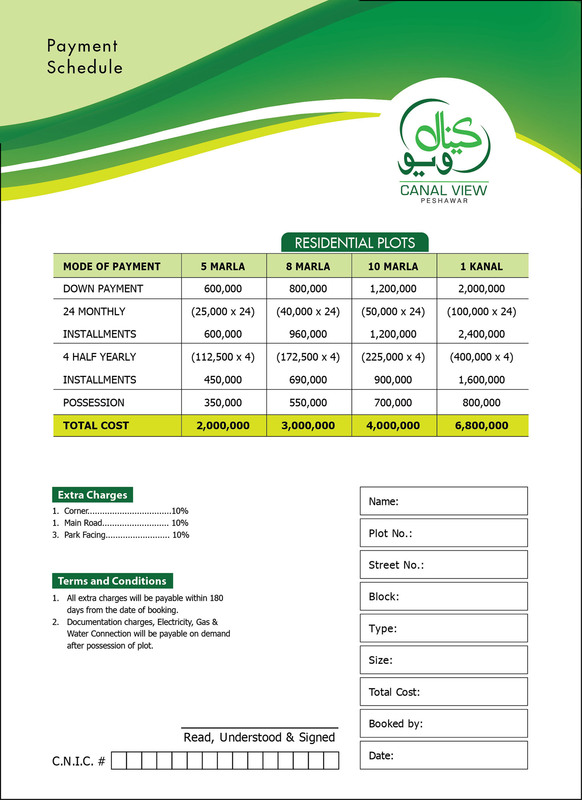 Canal View Housing Scheme Peshawar is ideally located on Nasir Bagh Road near Peshawar’s most demanded location i.e. University Road. 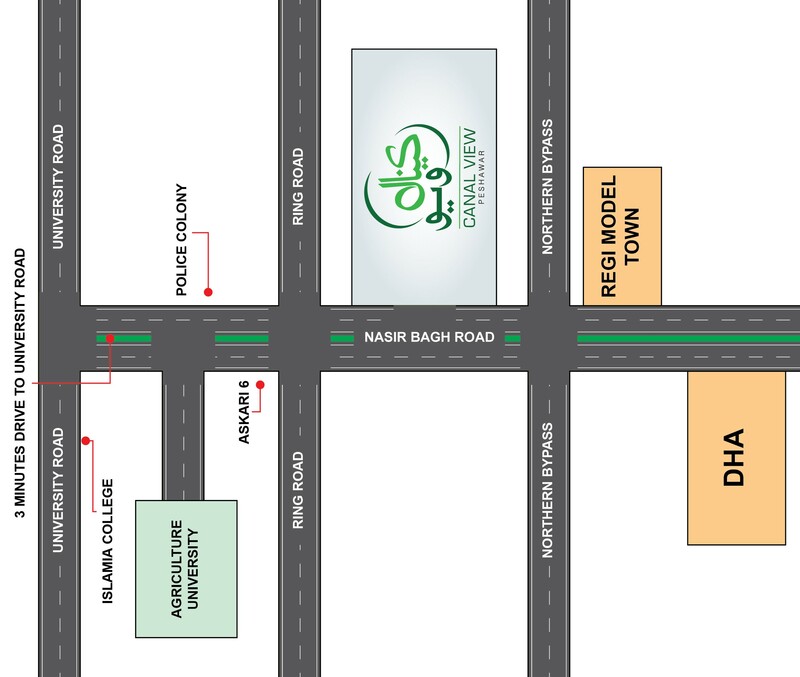 It is located opposite to Askari 6 housing society, and has direct and easy approach to university road. Canal View Housing Scheme is claimed to be one of the best housing projects in Peshawar that will replicate modern housing developments and provide extraordinary amenities to the residents. You can download the project brochure attached below for more details on the salient features and amenities being offered by the developer. The society is offering different sizes of residential plots i.e. 5 marla, 8 marla, 10 marla, and 1 kanal on 2 years installment plan. Bookings start with 20% down payment, while remaining amount is payable in 24 monthly & 4 semi-annual installments. Please note that category plots i.e. corner, park facing and main road facing plots will cost 10% additional to the prices given above. All extra charges will be payable within 180 days from the date of booking. Utility charges will be payable on demand after possession of plots. Should you require any further information on the society, or you want to book your plots in Canal View Housing Scheme, you can contact Star Marketing Online at UAN 091-111-111-160 for assistance.